I would give this four stars. Here is a list of what I like and was I dislike. I like the location, how close it is to campus and Star Market. I like the little fun things that are planned for the residents. the free food and tabling is fun and generous. I like the cleanliness of it, and if something is broken/dirty, it gets fixed in a reasonable time. I DO NOT like a lot of the floor plans as I feel the rooms are not realistically or practically proportioned. I have issues in my particular apartment with insulation- I can hear the wind from outside in the bathroom, even though the bathroom is on the hallway side. Lastly, I do not like how the trash chutes are so small, and especially the fact that there is no recycling. I enjoy the community very much. The new Tide laundry service that has been brought in is a fantastic idea. To build off of that, my only major complaint is that the washer/dryer units on the 3rd floor do not dry clothes well. I often have to do multiple loads in order to get my dry laundry. Been great service and friendly and very comfortable to stay and experience college life thank you very much for all the great hospitality. Looking forward to renewing..
Amazing staff. Beautiful apartments. It’s been a great experience so far. I would recommend renting from here to friends and family. I’m a very happy tenant. I love the Peninsula community. The leasing office is always willing to help, and they are all so kind. I love how they put out free food/drink on Holidays for residents! The new security at the front desk is awesome. They are doing their job, but they are also nice about it. I feel comfortable and safe in my apartment room AND building, and that's what's important! My experience at peninsula has been mostly positive. My only complaint is that I wish the units were a bit more soundproof. At night when the wind blows I can hear something rattle and squeak on the roof, and the weekly parties that happen down the hall don’t allow for much sleep on some nights. Peninsula is perfect for students! Rent is a little pricey but maintenance is quick. It only takes me 10 minutes to get anywhere on campus because I can walk right over to the dorms for a shuttle bus. A beautiful place to live!! The management office is so helpful and has been very responsive every time I have contacted them. I’m so happy at Pen! Nice apartment. Nice stuffs. Easy to go to school. In front of bus station. Love here cause it has laundry in unit and wooden floor. Not too much residents which is nice. It’s okay. Neighbors can be loud and everything is so expensive here. The people that work here have attitude at times. The rooms are nice though. Living here for the past year and a half has been great! Awesome location, nice management, and helpful amentities. It might not be suitable for families since most residents are UMB students, but nevertheless we’ve had a good security team to keeps things in check. 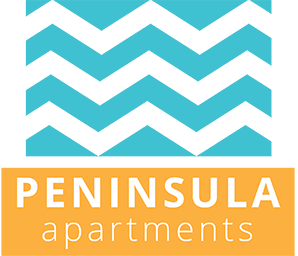 Peninsula apartments has a great community, the residents are respectful of one another and the peninsula staff are friendly and helpful. I’ve never felt unsafe or scared while living here. Peninsula is in a great location, especially if you take classes at UMass Boston. The apartments are a short walk from the red line so it is easy to commute to anywhere in the city. The apartments are nice and clean. Maintenance can fix any issue you have and they do it quickly. Rent is a very fair price. I’ve lived here for three years and have been very happy as a resident. We have been living here for 5 years We loved it. We are a family of 4 . My daughter loves the pool during the summer time. Maintainance is excellent. the peninsula apartments are a great location for college students especially those attending UMass Boston! With that comes a great and comforting living experience, knowing that other residents are in the same boat as myself. I am moving up to Boston to start my first job and the staff here has made everything so easy. They answered all my questions and are very kind and accommodating. Looking forward to living here! The staff here is great, the apartments are gorgeous, and its dog friendly! If there's a draw back it's the residents, but the staff has done a lot recently to address that. My resident experience has been amazing. I’ve been here for 3 years now and feel like peninsula is home. The amenities are great and the faculty treats residents with kindness. I love the location for school and getting to the grocery store. It is a little tricky to get to stores conviently but that’s ok, it’s the city. I wish the floor plans made a little for sense, as the bedrooms could be more proportional to each other and the living room area does not have to be so big. excellent amenities and staff but gets noisy through the thin walls and the loud neighbors. maintenance is excellent. view is great. great service when needed.